We have been having a crazy spring heatwave here in LA so all my thoughts have been on frosty smoothies, cool bevies and creamy frozen treats. 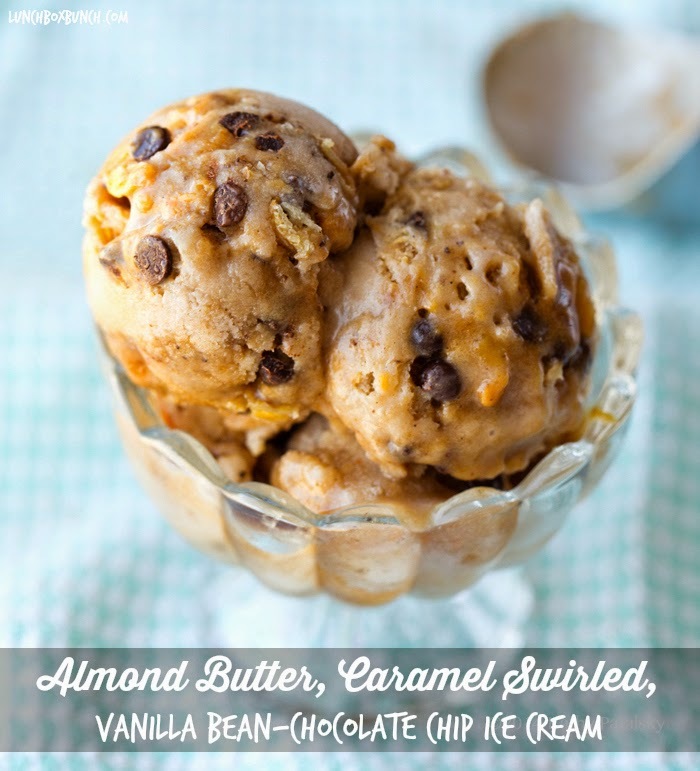 This vegan, blender-made, Almond Butter, Caramel Swirled, Vanilla Bean-Chocolate Chip Ice Cream is perfect for a cool down dessert! 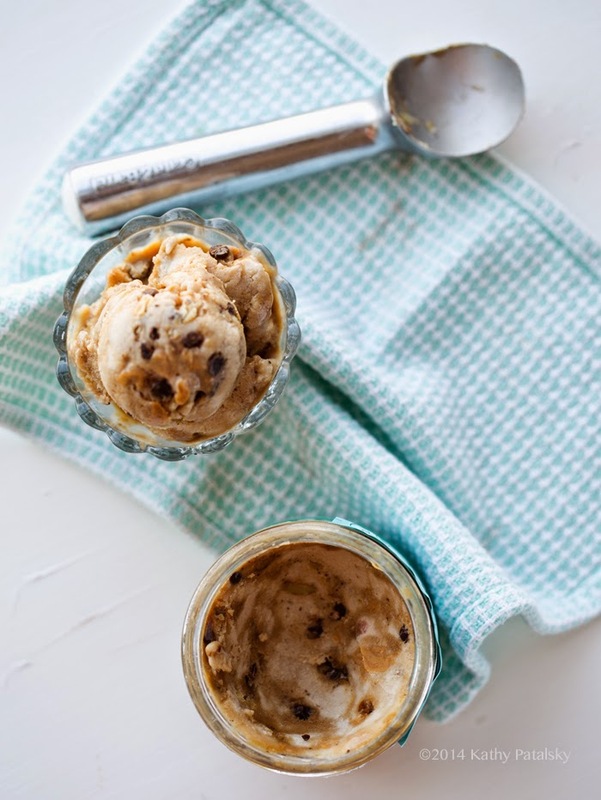 Made using homemade coconut sugar caramel, creamy peanut or almond butter, vanilla bean flavor and a banana ice cream base, this dreamy vegan treat is something you can feel good about! Blended. 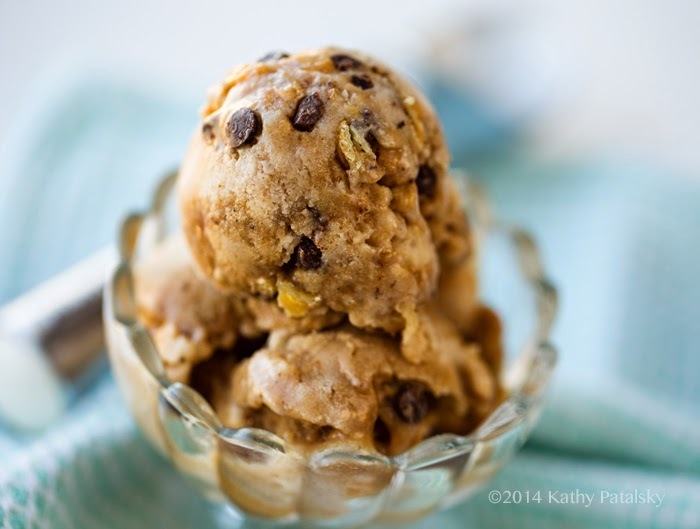 I love making vegan ice cream by using my Vitamix <- use this link for free shipping, btw! The base ingredient? Frozen bananas. This is also sometimes called "vegan soft serve." More so whe you eat it right away after blending. Like this peanut butter chocolate banana bowl. But you can also fold in accent ingredients, quick chill in the freezer using a chilled dish like a stainless steal, glass or metal dish and then scoop the chilled ice cream just like, well, real ice cream! 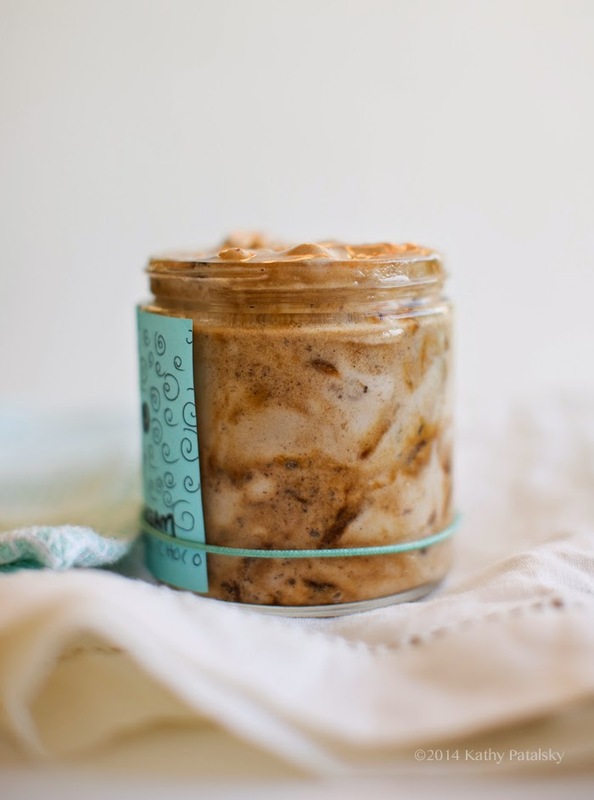 Or eat it by the spoonful straight from a re-purposed glass jar. 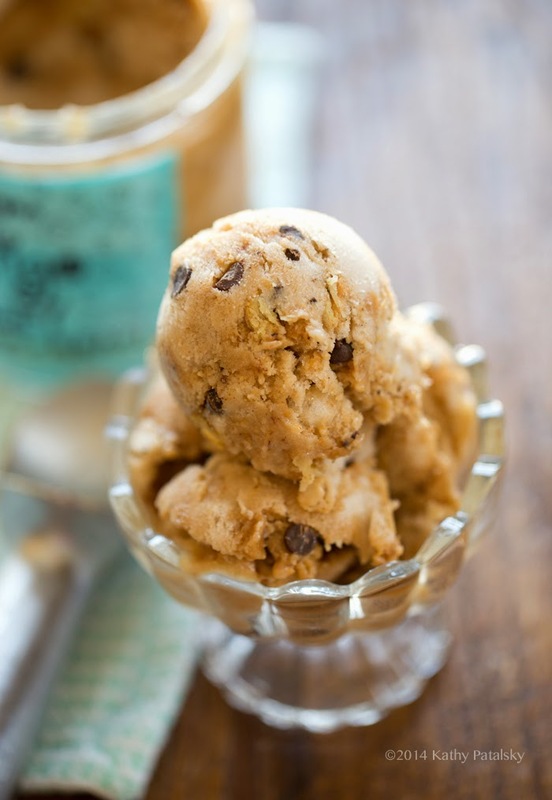 Just like the old grab-a-pint-of-Ben-And-Jerrys-from-the-freezer days .. minus the dairy. guilt. and ice cream hangover. More decadence? In need of something a bit on the rich side? Substitute the non-dairy milk with coconut milk for some ultra creamy texture and rich flavor. Or you could do just a few splashes of coconut milk in place of whatever non-dairy milk you are using. I love homemade almond milk best, but store bought soy, almond or lower-in-fat coconut milks also work. Try something with some fat in it, the lighter fat-free vegan milks do not work as well I have found. 1. Place a stainless steel or glass bowl or container in the freezer before getting started. 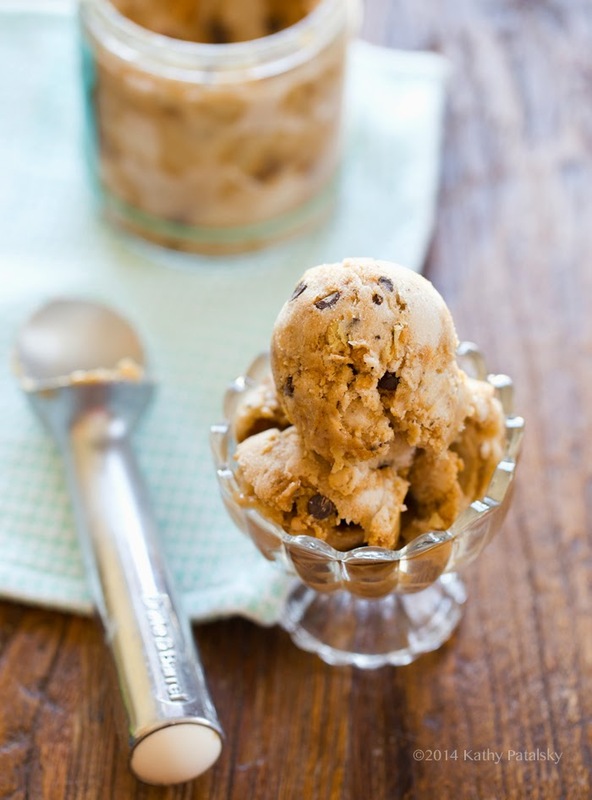 Having a chilled dish helps the ice cream freeze and chill for serving more quickly. 2. Add the ice cream ingredients, banana, non-dairy milk and vanilla bean, to a high speed blender like a Vitamix, start blending until the bananas become thick and creamy like a very thick shake or smoothie. The thicker the better, so I only add the extra two tablespoons of vegan milk if needed. Be careful blending thick shakes and ice cream, you also do not want to overheat your blender, so add enough liquid so things blend smoothly. Once smooth, creamy and thick, pour the mixture into the chilled pan. 3. Fold in the optional nuts and chocolate chips. Then gently fold in the softened almond or peanut butter swirl. Place the ice cream dish in the freezer. 4. Caramel: In a small saucepan, over medium heat, add the caramel ingredients. Heat while stirring until the mixture starts to bubble. Allow the mixture to boil and bubble for about a minute, still while stirring, then remove from heat. This should take only about 3-4 minutes total. Pour the caramel into a small mug or bowl to quicken the cooling process. The caramel will thicken as it cools. 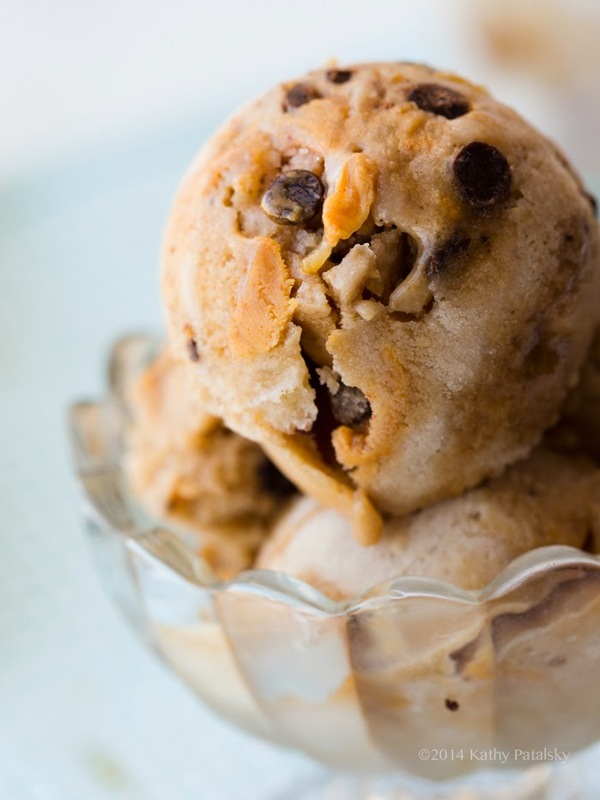 When the caramel has cooled to a thickened state, usually about 3-4 minutes in a cool dish, pull the banana ice cream from the freezer and swirl the caramel on top and fold into the mixture. 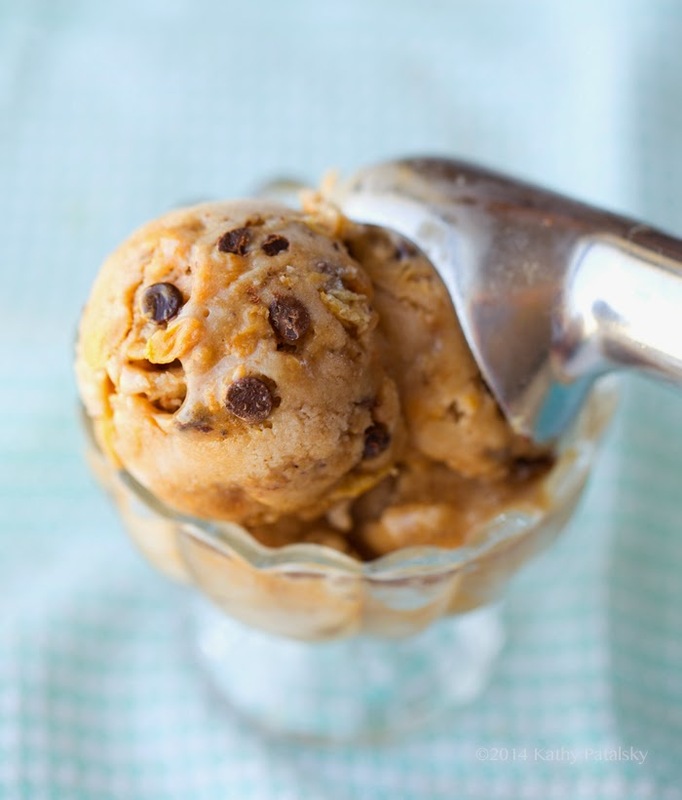 The slight warmth from the caramel should lightly melt the ice cream so that you can gently fold the swirl into the mixture. It doesn't have to be perfect, just get that caramel sauce folded in there and swirled along the edges of the dish. 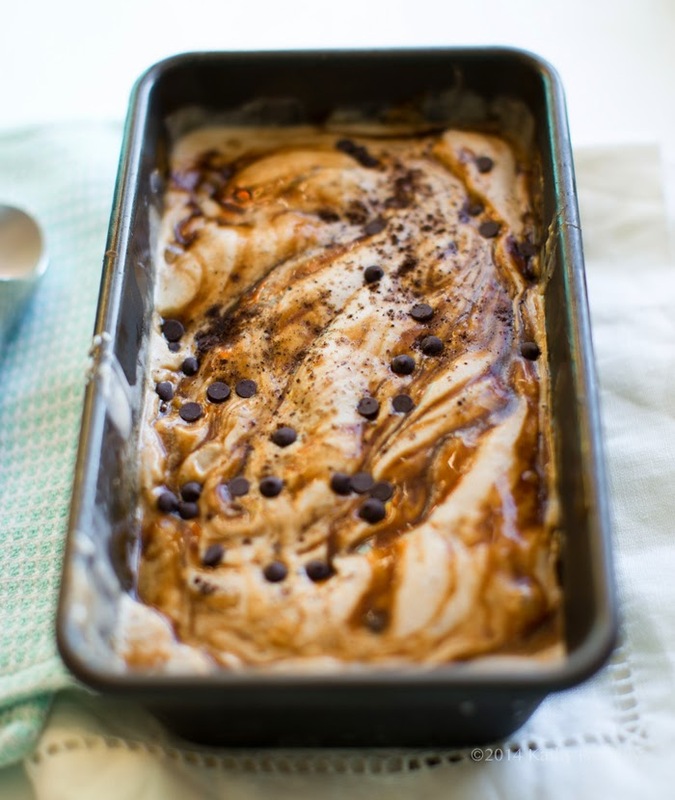 If the ice cream looks to be melting too much, allow the caramel to cool a bit longer and try again - keeping the ice cream dish in the freezer when not in use. The last step is to smooth the swirled ice cream mixture with a spatula and add a pinch of cinnamon over top. 5. You will now chill the ice cream until it is at a scoopable state. This ice cream tastes best when it is slightly soft but fully chilled. 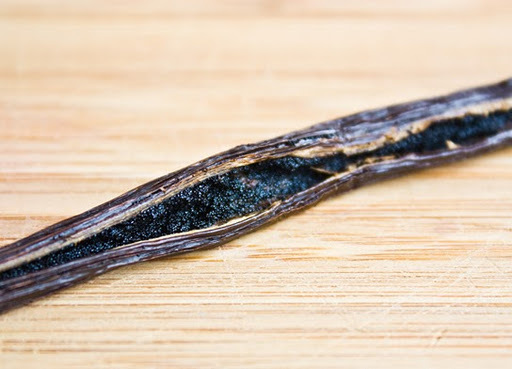 So if you chill the ice cream over night you may notice that it gets rock hard (from the banana base) so just be sure to thaw the ice cream long enough before serving. Store leftovers in the freezer, covered. psst.. this is PART ONE of a super yummy dessert recipe I will be posting soon so stay tuned! !